I hope spring finds you well! I’m writing to invite you to the premiere of A SENSE OF WONDER this Friday, March 27th, at 730pm at the Anthology Film Archives Theater in Manhattan. I’m an outreach producer for the film, and this event is the culmination of a huge month of screenings for us – over 100 screenings across the country as part of National Women’s History Month. We’re very excited to bring the film to New York. 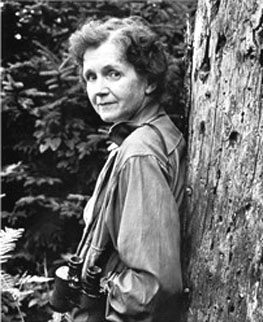 A SENSE OF WONDER depicts pioneering environmentalist Rachel Carson during the last year of her life, as she battles cancer and the chemical industry in the wake of publishing Silent Spring. The film, starring Kaiulani Lee, directed by Chris Monger and shot by 2-time Academy-Award winning cinematographer Haskell Wexler, is a powerful portrait of the woman credited with launching the modern environmental movement. The 54-minute film will be followed by a Q&A with Kauilani Lee and Carson’s adopted son Roger. The screening is FREE. Anthology Film Archives is at the corner of 2nd Avenue and 2nd Street in Manhattan. Thanks everyone – hope to see you there, and please spread the word among your friends and organizations!